Bharatpur’s mythological history dates back to the 5th century B.C. The Matsya kingdom ruled over these lands and they were allies of the Pandavas during the Mahabharata battle. Legend has it that Bharatpur got its name from Bharat, the younger brother of Ram. 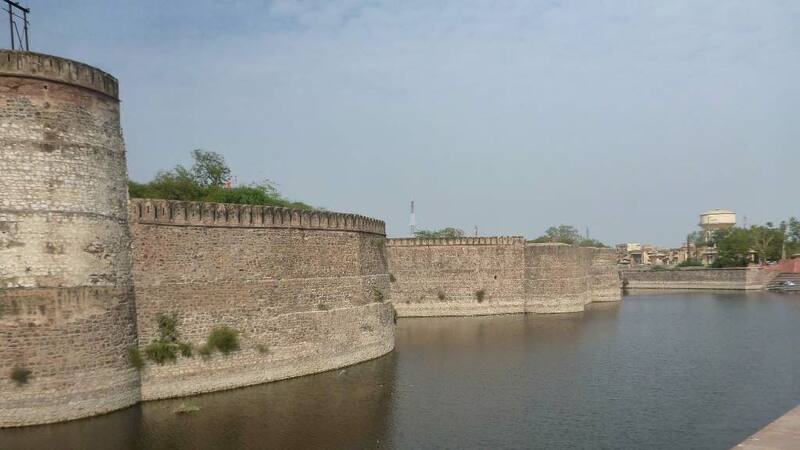 In 1733, Maharaja Suraj Mal successfully attacked the Bharatpur fort, defeating Khemkaran, the local chieftain, and establishing Bharatpur as we know it now. Suraj Mal had a vision of making Bharatpur an impenetrable kingdom and he succeeded by building forts and palaces that pepper the area. It comes as no surprise that Bharatpur is known as the ‘Eastern Gateway to Rajasthan’. Many travellers visit Bharatpur for one reason- the Keoladeo Ghana National Park, a veritable Eden of flora and fauna that is easily the best birdwatcher’s spot in all of Rajasthan. 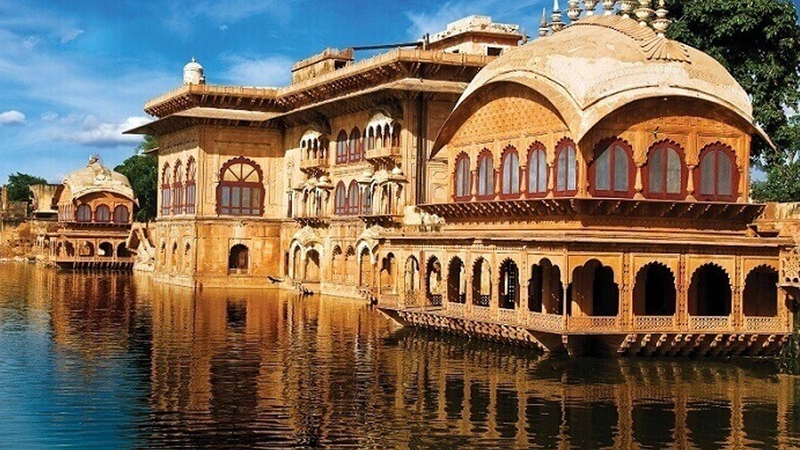 If you’re in Bharatpur, you might as well explore the forts, palaces, and temples that once made it an important Rajasthani kingdom. Bharatpur also host the pre-Holi Brij Festival in the first week of February. This is when the town come alive with colourful performances of raslila, a theatrical performance of Krishna and Radha’s love. 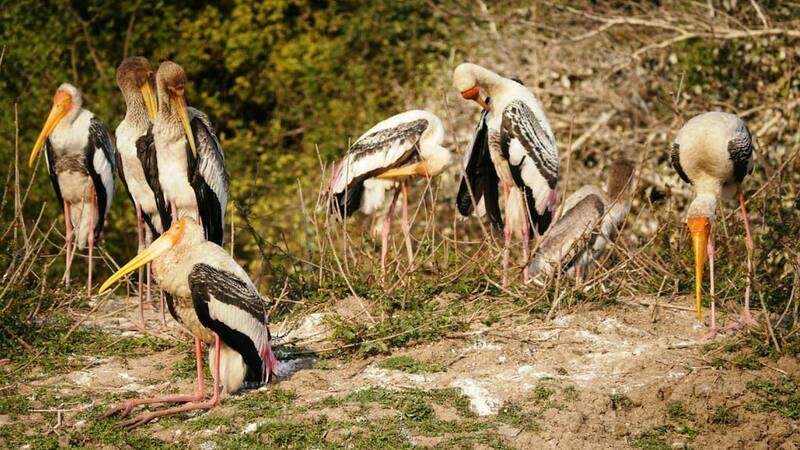 We’ve put together the 3 major places to visit in Bharatpur. The beauty of Lohagarh Fort lies in its stolid ruggedness. Constructed on an island in the centre of town in the 18th century, the Iron Fort was thus named because of its impregnable defences. Even though it lies derelict today, Lohagarh resembles a sleeping giant that was once the pride and joy of Bharatpur. Eight different metals were used to construct the spikes above the main entrance, Austdhatu Gate. The fort was commissioned by the founder of Bharatpur, Maharaja Suraj Mal, who also constructed Jawahar Burj and Fateh Burj. These massive towers were meant to commemorate his victory over the Mughals and the British. There are three palaces within the ramparts of the fort. One palace, in the middle of an airy courtyard, has been transformed into a dusty museum. The ground floor contains a Jain gallery of 7th to 10th century sculptures. The standout attraction here is the royal hammam (bathhouse) that still contains frescoes and intricate carvings on its walls. The upper floor is a menagerie of miniature cannons, animal trophies, photographs and portraits of the maharajas of Bharatpur. Climb up to the museum’s terrace for panoramic views of the sprawling city. Another brilliant viewing point within Lohagarh is the Jawahar Burj. Situated northeast of the museum, this tower was used by the maharaja to survey his kingdom and its subjects. A series of pavilions here coupled with the cool breeze make Jawahar Burj the perfect vantage point for a bird’s-eye-view of Bharatpur. Look for the pavilion that still contains ageing frescoes depicting everyday palace life, chariots and elephants. Lohagarh should top your list of places to visit in Bharatpur. Keoladeo started out as a royal hunting reserve in the 1850s. In the late 1800s, Maharaja Suraj Mal commissioned a number of earthworks that transformed this area into a wetland ecosystem. In 1982, Keoladeo was named a national park and in three years time it was listed as a UNESCO World Heritage Site. When Eastern Rajasthan enjoys a good monsoon season, the park (29 sq.km.) becomes the temporary home for nearly 400 species of birds! The winter migratory birds that arrive in October include herons, cormorants, egrets, moorhens and storks. The later winter months see geese, pelicans and ducks land up at KNP. Till about a decade ago, when the monsoons were better, the park’s most famous avian guests were the Siberian crane and Saras crane. The migratory birds leave by the end of March but KNP is still home to kingfishers, wagtails and robins. A number of these birds hover around the pools that are teeming with small fish. The dry grasslands of the summer will see you spot bluebull deer, sambar, jackals, black bucks, and mongoose. If you keep an eye out in the winter, you might just spot a python sunbathing in the open! One way to explore the park is to hire a cycle rickshaw that will take you around the wider tracks. However, your best option is to hire a bicycle at the park entrance. Cycling birders can travel off the beaten track and avoid bottlenecks thus increasing your chances of spotting the rarest variety of birds. Make sure you explore the southern regions of the park as most visitors stick to the north. The southern reaches offer better opportunities to serious birdwatchers. The garden town of Deeg is 36kms from Bharatpur and makes for the perfect day trip. Suraj Mal built this town in the mid-18th century and this was the spot where his army repelled the combined Marathi and Mughal army of 80,000 soldiers. The maharaja even had the audacity to launch an attack on Red Fort, bringing back a large booty that included a marble building that still sits in the Deeg palace grounds. Suraj Mahl’s Palace in Deeg is so well maintained that it is hard to imagine it was constructed in the 18th century. The eastern façade of the palace contains original royal furnishings such as elephant-foot stands, plump sofas, punkas (hand-operated fans), Chinese and French porcelain that are over 200 years old. Two massive tanks, Gopal Sagar and Raj Sagar, flank the palace and water the sprawling flowerbeds and gardens. There are over 2000 fountains within Suraj Mahl’s Palace and most of them are still in working condition. The five-arched, single-storey edifice is the Keshav Bhavan (Summer/Monsoon Palace). The archways of this palace spew tiny jets of water while another water implement is fitted with metal balls to mimic the sound of thunder. Deeg’s walls reach a maximum height of 28m and its 12 bastions still contain a few cannons. Make sure you walk up to the top of these walls to get a panoramic view of the other palaces- Suraj Bhavan, Nand Bhavan and Kishan Bhavan. The places to visit in Bharatpur comes to a fitting end at Deeg.